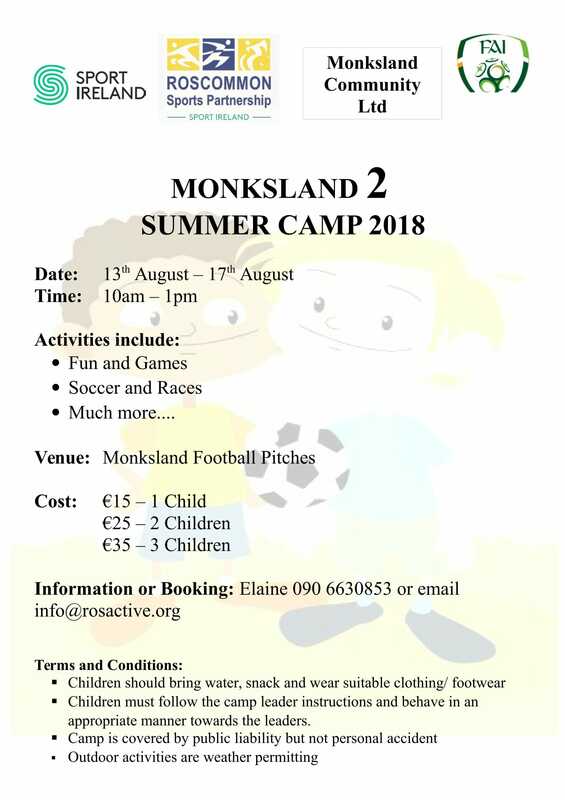 Roscommon Sports Partnership are proud to be hosting another Summer Camp in Monksland this August! Our second camp is in Monksland and runs from the 13th of August to the 17th of August. It will be on from 10 am until 1 pm. Registration forms will be available on the first morning of camp, but we do advise that you take the time to complete our online form and return it via email to info@rosactive.org. Alternatively, if you had children who attended the July camp, we can re-register them for the August camp using the previous information provided. The camp costs €15 for one child for the week, and €10 each for the 2nd, 3rd or 4th child in the family attending. You can download the form on the link below and return via email or post.